One of the people who is at the forefront of the e-commerce revolution in retail is Doug Stephens a.k.a. The Retail Prophet. Doug Stephens is one of the world’s foremost retail industry futurists. His intellectual work and thinking have influenced many of North America’s best-known retailers, agencies and brands including Walmart, Home Depot, Disney, Microsoft, WestJet, Citibank, Razorfish, Intel and WestJet. In 2013 Doug was voted one of retail’s top global influencers by Vend.com. Prior to founding Retail Prophet, Doug spent over 20 years in the retail industry, holding senior international roles including the leadership of one of New York City’s most historic retail chains. Doug is the author of the groundbreaking book, The Retail Revival: Re-Imagining Business for the New Age of Consumerism. 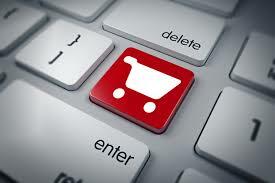 Here are 6 of his short videos on the latest happenings and trends in the e-commerce world. Posted in the 2nd half of 2013, but still very relevant.